!!!!!!!! Perfect score on HRDI-s !!!!!! *HSAs with 3 firsts that were 1 HIT & 2 RHIT, one of the RHIT was a tie with HIT, lost to the Adv dog. *HSCs earned with 2 firsts, one was HIT and one was RHIT and one was High C course. *HSAd earned with 2 firsts (one of which was HIT) and a third. *HIAs earned with 3 firsts. *HICs earned with 3 firsts, one of which was HIT and one was High C course. *HXCs earned with 2 firsts (both HIT) and a third. As the above clearly shows, Kita has laid down some really impressive runs on a variety of course and stock. He is also a great ranch dog. Unfortunately, I haven't had the finances to trial him except on a limited basis. Professional shepherd and French Herding Judge Jean-Michele Jolly, who is 10x French National Herding Champion, 10x Reserve National Champion and 10x 3rd place at French Nationals, refered to Kita as a valuable dog. He said he would take Kita home with him and with the additional training he would put on this then not yet finished dog, Kita would be a dog he would take to nationals. SV conformation judge comments: Small, good expression, firm ears, normal angulated, somewhat stretched, sufficient strong, very good color, good withers, firm. Kita is a UKC Show Champion (CH). 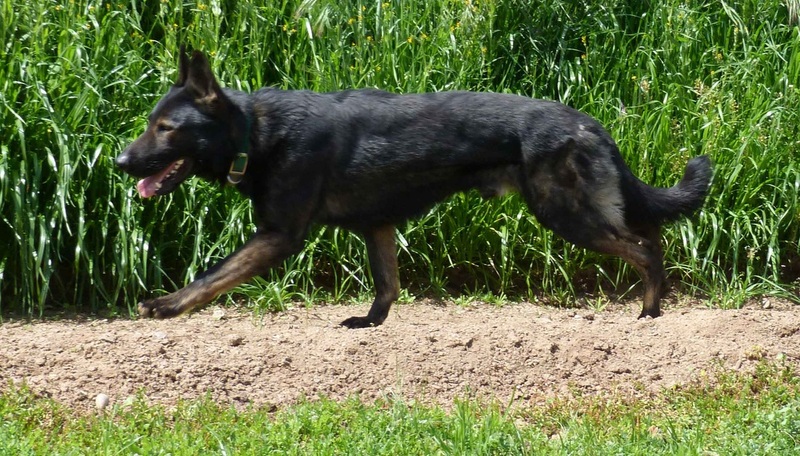 Male, Very Dark Sable (“Black Sable”) (sable carrying black and clearly expressing the “black sable” modifier). He is 24 inches and a lean 68 pounds. 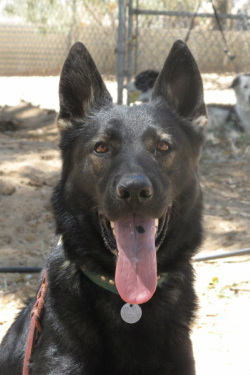 Hikita has a true endurance trot. 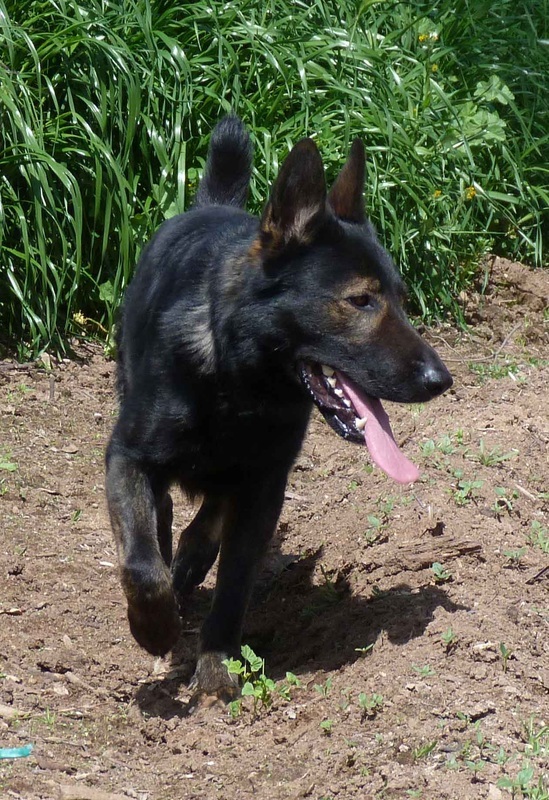 He is very light footed and has sharp turning ability. He is extremely biddable. SV: Hips Normal (a1) & Elbows Normal (results on file with GSDCA-WDA). 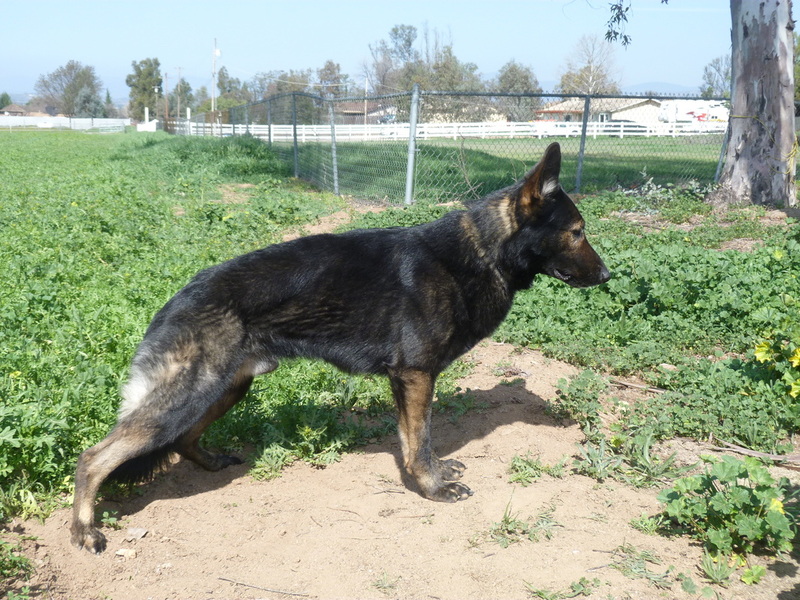 Kita is all world class schutzund, from E & W German, Czech/Slovak, Dutch and Belgium lines. 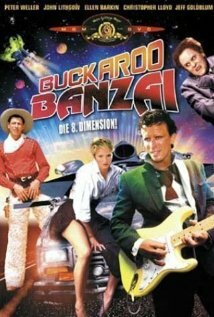 Etiology (or What’s in a name): In keeping with my tradition of naming my dogs after SciFi characters, he is named after Professor Toichi Hikita from the Adventures of Buckaroo Banzai Across the 8th Dimension, call name Kita (pronounced Key tah). BTW: My Hikita’s grandfather, Magbert Vom Blitzen Stein, was a Japanese import. Above: Both photos - Kita working Nigerian Dwarf Goats at 11-weeks-old!! 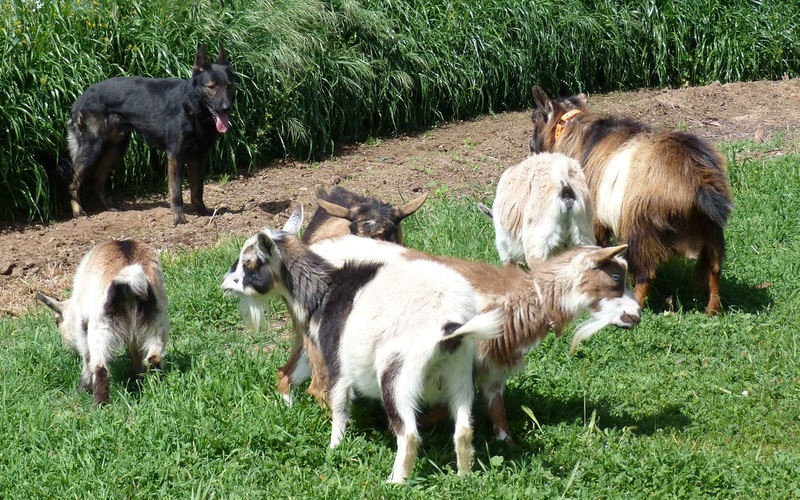 Many an adult dog has been scared away by a face off with my goats. Yet, Kita was standing up to them as a very young pup. Most pictures on this page can be clicked on to blow up image. Below photos: A dog for all stock and all seasons. Kita working ducks, geese, a cow, sheep (in a snow storm!! ), goats, and turkeys. Early lesson on driving goats This is a very early driving lesson. 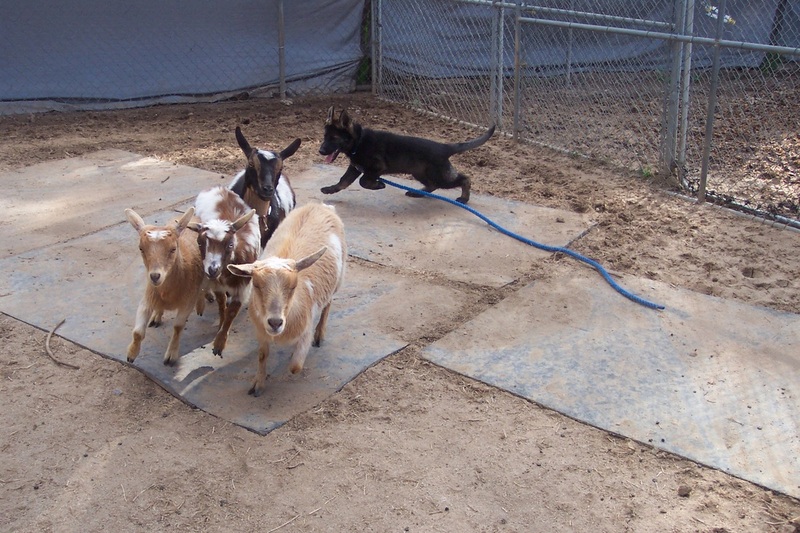 The ultimate goal is to have him move the goats around independently of my position. 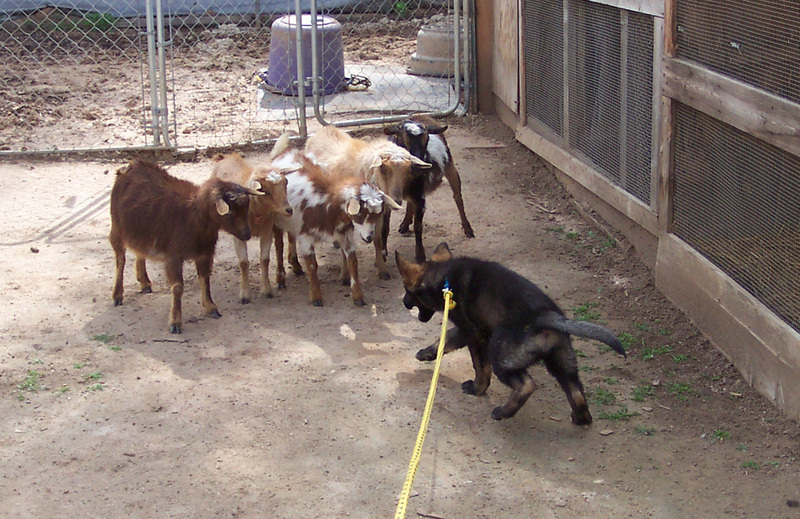 He is used to making the goats fetch (follow me). “Awee” means go around the stock counter clockwise and “Go-by” is to flank clockwise. Ideally, the dog will go between me and the stock (do an “inside flank”) when given his directions while driving. This takes some teaching as foundation training has the dog going outside of the person when he flanks. 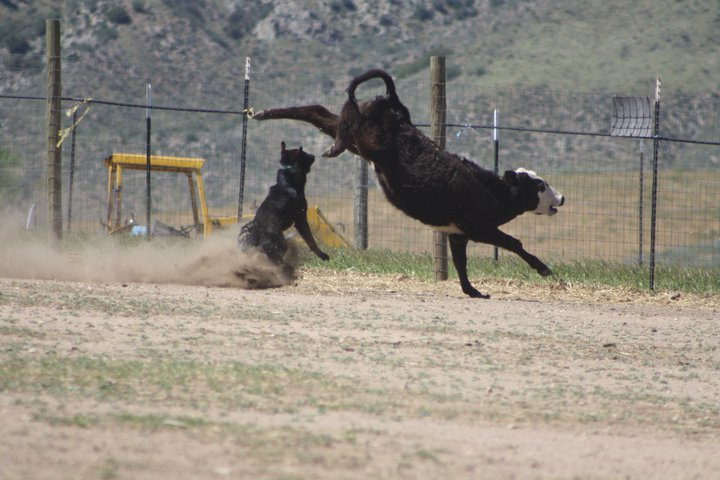 It is still hard to pull this dog off balance (the point that holds the goats to me) and get him to go around past it. It is also hard to flank him because he is watching the stock and wants to go tuck them back in rather than go around where I am telling him. But he is doing fairly well for his training level. Notice when he brings the stock back to me, how he moves back and forth working the heads of the livestock. Compare to progress a few lessons later in video below. Kita early driving, a few lessons later This video was taken about a half dozen lessons after the video above. He is now much easier to pull off balance (i.e. get him to go beyond the point that holds the stock me) and I can now get him to do inside flanks (between me and the stock vs. flanking around by going behind me) a much higher proportion of the time. Kita first work of these geese & ducks This is the first time these geese and second time these ducks have ever been worked by a dog. The geese have lived with the ducks for only 2 days. The challenges to working them are 1) not dog broke, 2) ducks & geese form 2 separate groups, each with their own mind, 3) ducks and geese may take different amounts of pressure and have different flight zones, 4) geese unaffected by my presence – will go right up to me, but ducks don’t want to go near me for ducks there is a repulsive shield around me. Despite this, they can be worked as one group but dog has to be very proactive in preventing groups going their own ways or needs to be very responsive to commands. Often Kita and I had different opinions at to which species needed the attention. Kita dog-breaks Oregon Mini Geese This is the first day these Oregon Mini Geese have ever been worked by a dog. 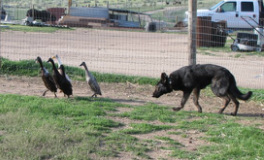 In this video, German Shepherd Dog, Hikita Vom Insel, gets the geese used to being moved around by a dog. All goes pretty well until it is time to put them through a narrow area on approach to the repen. 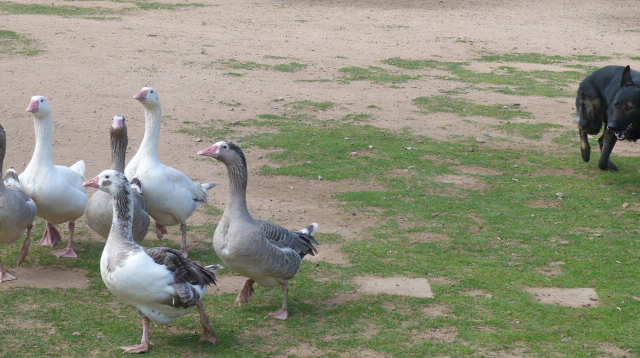 Then the female goose feels threatened in the tight (for her) area and has a real hissy fit. Kita must show patience until the goose settles and moves away. Tending graze to keep goats out of hay crop part1 part2 Kita keeps Nigerian Dwarf goats within a weed patch and out of the hay crop. He correctly stays on the part of the border nearest the goats. The big goat with a lot of coat is a buck and is very new to the herd. He is not dog broke yet and so he occasionally challenges Kita. Kita’s first time working turkeys Kita takes these young Broad-breasted Bronze turkeys out of an alley way and into larger area and then moves them around. At times the poults move easily, at other times Hikita has to give them a “shove.” He works very naturally keeping them grouped. After taking them out of the alley a second time, Kita puts them away in their night pen. Kita working birds from this same group 4 months later The Broad-breasted turkeys are now very heavy and don't move very well. I have to tell Kita to be patient with them as they are really moving as fast as they can. 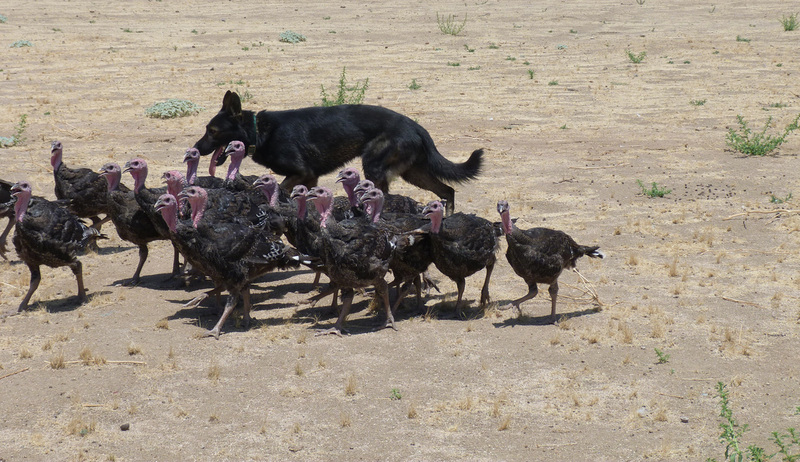 Kita fetchinging young heritage type turkeys and then working (mostly driving) a different group of older heritage type turkeys. Note how heritage turkeys still move nicely as adults, unlike the BBB's above. Kita finishing his HSAd title on geese. On this and the following run problems were due to my lateness in giving commands and to Kita’s slow response to some of them. Kita doing 2 Herding Intermediate C Course Sheep runs. The sheep were Katadin , a bit light for C, as can be especially seen at the take pen, but Kita does a great job of calming them. Though Kita is not actively moving along the entire flock, he is very much patrolling. He goes to the front of the flock and tells them with a glance to stay behind and not invade Dot’s personal space. Then, he stops and lets the flock pass until he is in position to cast a commanding glance at the rear of the flock to insure that they keep following. And then he moves to the front of the flock and repeats it all over. On the graze, he is not watching for those near the edge, but rather he is reading the sheep and watching for those with INTENTIONS of crossing the border. Movement: Filmed to show Kita 's side movement using goat working to get him to not be staying by my side as he usually does. It's a little bit into the video before I get it down right as to how to show it. Note his beautiful good turning ability and his light-footed movement with a TRUE endurance trot. Several times, he wants to take the direction wrong. This is my fault as I give the opposite command than attended way too often and then correct him for taking the wrong flank as given. MY BAD.